Welcome from South Wales based harpist Ruth Elen Hicks / Croeso i wefan telynores Ruth Elen Hicks. If you’re planning a Wedding, Party, Anniversary or any other special occasion, in or around South Wales then you may wish to add that extra special touch with an experienced harpist. The harp is a magical instrument which will create the perfect ambience for your occasion whether it be an intimate gathering or a large event. My name is Ruth Elen Hicks and I am based in Bridgend, South Wales. I have been playing the harp for over 20 years. I have a wide and varied repertoire ranging from the Classics to the Contemporary, as well as traditional Welsh Aires. I continually strive to add to my repertoire and keep it as contemporary as possible by learning new songs that are often in the charts whilst not forgetting the importance of adding some good old classics. Playing the harp is a passion of mine which started around the age of 9. I enjoy playing at all ocassions but I especially enjoy weddings. I love everything about them from seeing the Groom casting his eyes on the Bride for the first time to seeing the fantastic and awe-inspiring cakes. 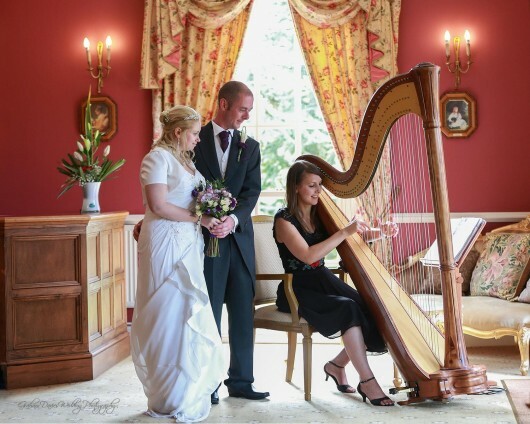 Every wedding is unique and special and the harp can add an extra touch of class to the day. My harp is a full-size concert harp with an extended soundboard and pedals. An extended soundboard is considered a must for performing as it enhances the rich tones of the harp. I have also invested in accoustic amplification. This ensures that the gorgoeus sound of the harp does not get drowned out during those special occasions. 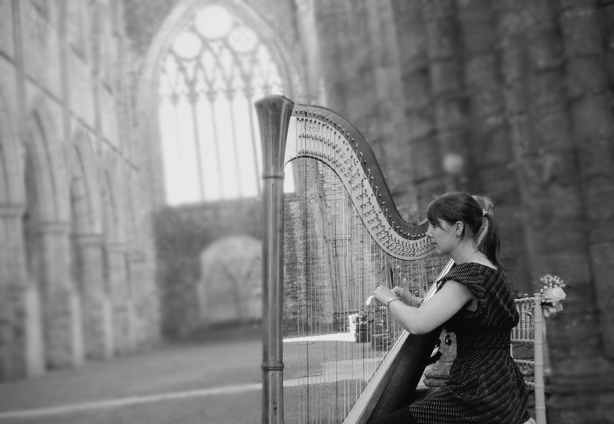 So, why not add that Special Touch to your Big Day with South Wales Harpist Ruth Elen Hicks? I am now a proud member of the South Wales Bridal Network, which helps brides to be to get connected with the best wedding services suppliers in South Wales. To find out more, simply click here.